Heijmans is an organization that combines activities in real-estate, residential construction, utility and infrastructure in the fields of living, working and connecting. Heijmans is active in the Netherlands, Belgium and Germany, and delivers technology partner knowledge and concepts in different markets. By focussing on ongoing quality improvements, innovation and integrity, they realize value addition for their customers. Heijmans realizes projects for housing consumers, companies and governments. 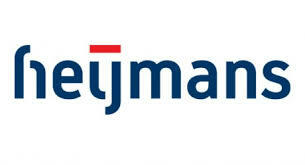 More information about Heijmans can be found here.